A helping hand, right from the start with your first visit to Valley Chiropractic & Rehabilitation. During your visit you’ll be greeted by a friendly member of our bilingual staff who will assist you with the initial paperwork. 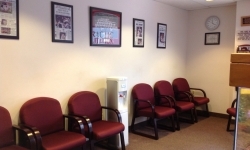 You will then have a consultation with one of our chiropractic physicians who will take a health history. After a thorough examination, your doctor will discuss their findings with you. Treatment options, benefits and risks, as well as goals of care, will be explained in detail. Your doctor will take the time to answer any of your questions. If you are a good candidate for our nonsurgical, drugless approach, we will design a specific therapeutic program to help you on your way to relief, rehabilitation and recovery. If our type of care is not right for you, we will make an appropriate referral. 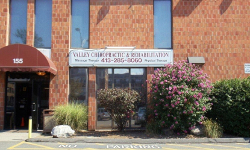 Valley Chiropractic & Rehabilitation is an interdisciplinary health care facility that has been serving the community of Western Massachusetts since 1977. We combine the tried-and-true, gentle methods of chiropractic treatment with physical therapy and exercise rehabilitation to help you achieve the most complete recovery possible. Our doctors and physical therapist work together to design specific programs for each of our patients to help reduce muscle pain and spasm, restore normal mobility, and strengthen the affected areas. 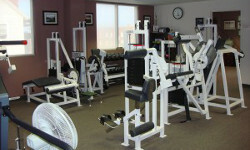 Our aim is to help get you back to your normal daily activities as quickly as possible. How do you know if treatment at Valley Chiropractic and Rehabilitation might help your condition? If you suffer from any of the following symptoms, we may be able to help you with our interdisciplinary approach. Two of our Chiropractors are certified in Cox Distraction Manipulation and Whiplash Trauma.